Left Foot Forward presents exclusive extracts from Rowenna Davis’s new book, “Tangled Up In Blue”, looking at David and Ed Miliband’s thoughts on community organising. The same day that Ed Miliband was speaking in early September 2011, his brother David Miliband also agreed to be interviewed for this book. It was almost exactly a year since he had lost the leadership election to his younger brother, and the feelings were still raw. Throughout the campaign the media had relished the chance to portray the brothers as politically and personally divided. Ed Miliband was portrayed as the representative of the Brownite faction of the party on the side of the state whilst David Miliband was caricatured as the Blairite champion of the market. So obsessed with ﬁnding divisions, the media missed a crucial new overlap of ideas that continues to grow to this day. Although neither of the Milibands would publicly subscribe to the label, the ideas that Blue Labour discusses are fast becoming a central pillar in the post-Blair-Brown party. After three terms in oﬃce, there is a consensus that the state alone cannot solve all of the nation’s problems, and the market can’t be left to its own devices. It’s the third pillar – one that centres on community, relationships and civil society – that is now gaining greater signiﬁcance. It is Blue Labour’s assertion that this is the pillar the party forgot when it was in oﬃce, and it is the strand that will have to be reclaimed if Labour is to renew itself and rebuild the trust necessary to win back power. A few weeks before Ed Miliband opened his ﬁrst party conference as Labour leader, he proposed that the party should reform clause one of the party’s founding constitution to put community organising “at Labour’s heart”. In a formal recognition of the work of his older brother, Ed Miliband also called on conference delegates to allow the Movement for Change to formally afiliate to the party. It was a magnanimous gesture, given that the Movement for Change had originally started as a rival campaign to distinguish David Miliband as a better candidate for leader. This was particularly true given that David Miliband had remained personally involved in the Movement for Change since he lost the leadership, devoting his time to ensuring it had the funding it needed to carry on. In an echo of what was already outlined in this book’s introduction, Blue Labour ideas were bringing together a pair of brothers that were split by the leadership campaign. Despite Ed Miliband’s label as a Brownite and his older brother’s label as a Blairite, they were now united on the community organising agenda ﬁrst introduced to them by Glasman. 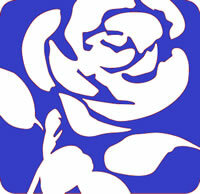 The proposals might not have been Blue Labour in brand, but they were Blue Labour in spirit. In a sign of both Milibands’ ability to put their commitment to the party above personal history, Ed Miliband formalised the experiment started by his brother, and David Miliband was gracious in his response. True to his word, David Miliband remained committed to the Movement for Change long after the leadership campaign. He helped secure the organisation funding from Lord Sainsbury to continue training Labour activists, and continued to personally attend training events, visiting one event in the North East just a few weeks before the 2011 party conference. “The ﬁrst thing to say about Movement for Change is that it is really just getting going. We trained 1,000 people during the leadership campaign. But that was really just a test. We now have a proper national organisation, independent of the party but supported by the party leadership… It’s a young institution with, I think, sustainability and durability as well as excitement and novelty. The majority of the four seminars were held between October 2010 and April 2011 in this hothouse of the country’s intellectual elite. Billed as a space to generate new ideas, the seminars brought together academics and top politicians less than four weeks after Ed Miliband had won the leadership battle. Although the work that emerged from them was attributed to Blue Labour, they were never advertised or organised with that intention. Indeed, some of the most high proﬁle members in the room might well not have been in attendance if they were. The seminars had an extraordinarily magnetic pull on both Milibands. David Miliband attended most of them even though he was widely believed to have stepped aside from mainstream Labour politics at the time. Senior political advisers of Ed Miliband’s team also turned up eager to claim some of the terrain. The intellectual fallout of these meetings would go on to form what became known as the “Blue Labour Bible”. The oﬃcial title of this ebook – The Labour Tradition and the Politics of Paradox – might have been less glamorous, but that didn’t stop it generating an explosion of publicity once it became known – albeit unfairly – as the deﬁnitive guide to Blue Labour philosophy. From David Miliband’s perspective this must have seemed odd. He was sitting in the seminars that had been designed to kickstart his leadership and develop trains of thought set in play by the Movement for Change campaign, but suddenly there were ﬂies on the wall. Everyone in the room knew it, and no one could do anything about it. David Miliband and his team were left in a position where either their seminars were not going to have any inﬂuence, or they would be picked up and used, but only to serve the administration of his brother. Even the most high minded individual wishing to put new ideas for the party over sibling rivalry must have found the dynamic diﬃcult to ignore just weeks after his leadership defeat.